The “Asian Century” has arrived in Queensland. The world’s largest port will rise soon that will pave the link between the Australian state and Asian market– India in particular. The Federal government gave the green light to the massive expansion of three major port terminals at Abbot Point, 26 km north of Bowen in Central Queensland– positioned to become one of the world’s largest industrial sea ports. The approval gives Adani Enterprises Pty. Ltd. and GVK, among other mining companies, a breakthrough in the multi-billion coal industry which will exploit the potential of the coal-rich Galilee Basin. Environment Minister Greg Hunt announced the decision on Tuesday after a ”rigid assessment” and the project’s environmental impacts. After a long delay, the minister approved four Queensland projects under the National Environmental Law, including the capital dredging program for the proposed Terminals 0, 2 and 3 at the Port of Abbot Point, the Adani T0 project, the Arrow Liquefied Natural Gas Facility on Curtis Island, and the Arrow Gas Transmission Pipeline to Curtis Island. The terminals will provide the necessary infrastructure to accommodate the ”bullish” coal industry within the Galilee Basin. The approval of Terminal 0 (T0) is sure to boost Adani’s ambitious prospect to ship the coal to India. “Coal from this project will predominantly service the Indian market,” Adani admitted. The group acquired the terminal for about two billion Australian dollars under a 99-year lease in 2011. T0 is estimated to have a 70 metric tonnes per annum mtpa (35 mtpa x two stages) handling capacity. T2 will be built by an Australian-own company, while T3 will be undertaken by GVK. But the New York Times reported Adani bought the port in 2011 for 1.8 billion Australian dollars taking advantage of the area still recovering from a series of floods. The T0 alone is projected to generate a financial value of A$ 1.4 – 2.8 billion annually in gross revenue which will contribute significantly to the Queensland and Australian economy. It will directly benefit Bowen locality and the wider Whitsunday region, Adani said in its presentation paper earlier this year. Estimated employment stands at 500 jobs in construction and 200-250 jobs in operation, while it provides opportunity for expansion of permanent working population at the Port of Abbot Point. This projection, however, is based on the estimated export of thermal coal from Adani’s Carmichael Coal Mine and Abbot Point Coal Terminal 0 projects. GVK, on the other hand, will undertake the expansion of T3 port facilities and Galilee Basin coal assets including the Alpha, Alpha West and Kevin’s Corner coal projects. It will also construct a rail connection to the Abbot Point Port. 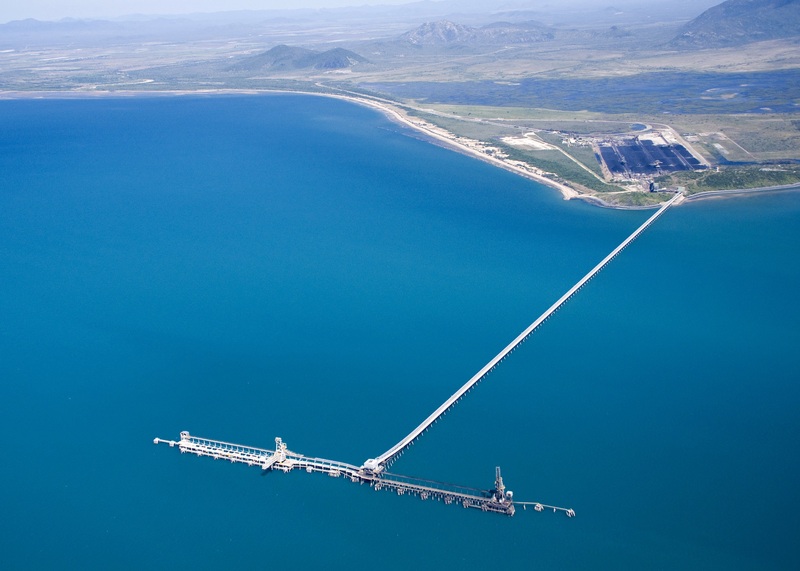 “Together with the previously received clearances for the Alpha mine, the rail to Abbot Point ,GVK Hancock has solidified its leading position in the Galilee Basin of Queensland, Australia, ” the company said in a press release. The North Queensland Bulk Ports Corporation (NQBC) has been commissioned as the port authority responsible for managing the project. The Galilee Basin is strengthening the economic ties between Queensland and India. Premier Campbell Newman admitted the potential of the region which could be a bigger contributor to Queensland’s economy than the coal seam gas industry. Newman had visited Adani’s operation in India and believes in the export potential of the region. Further, he considers a long-term strategic business partnership with Indian companies. Mining Australia quoted him as saying, “They want coal to come for their thermal power stations day in, day out, week in, week out, month after month, for not 10 years or 20 years or 50 years; they want it to come for 70 to 100 years” . Greenpeace lambasts the dredging and dumping of industrial waste into the vicinity of the reef. Environmental groups, however, are enraged with the developments. The terminals will require dredging of about three million cubic meters of sediments from the bottom of the sea. Local communities and environmental groups are outraged on how and where would the dredging spoils be dumped. The long-term effect after the area after the mining projects is also a matter of concern. Hunt said he made an agreement with the Gladstone Ports Authority that they will not dispose of up to 12 million cubic metres of spoil within the Marine Park, but will instead use the material for land infill. Hunt and Newman are already under fire from Green groups. The WWF, for one, is now pressing the Great Barrier Reef Marine Park not to issue a permit to the NQBPC to dump the dredge spoil into the reef waters. The WWF-Australia, in partnership with the Australian Marine Conservation Society, has also launched a nationwide and international campaign, Fight for the Reef, that educates people about the implication of the large-scale industrialization of Australia’s east coast- more significantly its impact on the world-listed heritage site – the Great Barrier Reef. This entry was posted in Environment, Mining/Coal/Gas and tagged Abbot Point, Asian Century, coal, Galilee Basin, Gautam Adani, Great Barrier Reef, Greg Hunt, GVK, India, Queensland, reef, seam gas by rowenadelarosayoon. Bookmark the permalink.